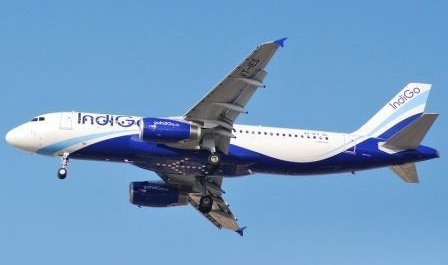 InterGlobe Aviation – the parent of India’s largest carrier IndiGo – listed today on the bourses in a choppy market but rewarded IPO investors. The stock opened at INR855.80 per share on NSE and slipped to INR849 apiece on the lower side. However, it recovered and touched a high of INR899.5 per share before closing the day at INR877.5 per share, marking a jump of 14.7% over the allotment price of INR765 per share. The company raised INR30 billion in its IPO with a price range of INR700-765 per share. The IPO involved a fresh issue of INR12.72 billion while 26.11 million shares were sold by existing investors including company promoters Rahul Bhatia and Rakesh Gangwal. The holding company of the budget airline received unanimous applauds for its ability to generate profits in a sector notorious for value destruction. However, the company management was criticized for its controversial move to pay an excessive special dividend ahead of the IPO which left the company with negative net worth. This controversial move led some brokerage houses to put AVOID rating on the IPO. While the IPO was eventually subscribed 6.1 times, it failed to find enough buyers in the retail category. Similarly, the employee quota remained undersubscribed with bids received for only 12% of the reserved shares. InterGlobe Aviation listing on the positive side indicates the trend of profitable and high-growth companies being rewarded by market despite high valuations. It is a worrying sign as most IPOs are not leaving anything on table leading to a wafer thin margin for market volatility. Some of the well-known companies including a few profitable ones recently listed at discounts as a result of steep pricing. This includes the holding company of Coffee Day Enterprises Limited – India’s answer to Starbucks as well as Prabhat Dairy and Power Mech Projects. Dilip Buildcon IPO Review: Built to last?